In my case, the answer for all the questions above is YES! And I especially love them because I always have something I wish for! I immediately jump on the bandwagon! Because heyy, I don't want to miss out on this awesome oppoturnity! But first, let us get to know Santa Hermo! And why you SHOULD love it! Hermo is an online shopping site where you can browse and purchase awesome beauty products with just a few clicks! 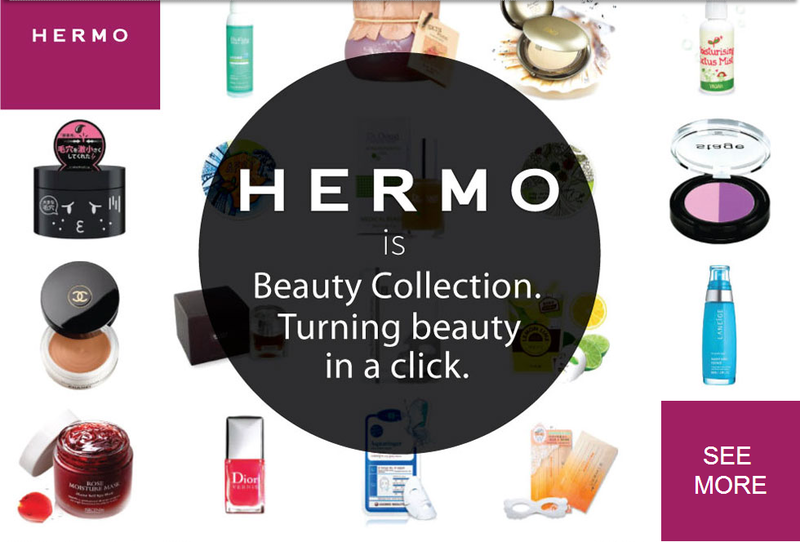 "Hermo is beauty collection, the place to make you even more gorgeous. Hermo’s mission is to help people to be gorgeous by the ease and convenience of ecosystem. Thousands of people around Malaysia use Hermo to discover beauty products at great prices, trying out the most trendy ways to be gorgeous, and to share their beauty tips in the journey. Beauty can be simpler and more affordable. Handcrafted in Malaysia." They also offer products from other awesome brands like Tony Moly, Etude House, Missha, Laneige and many more! 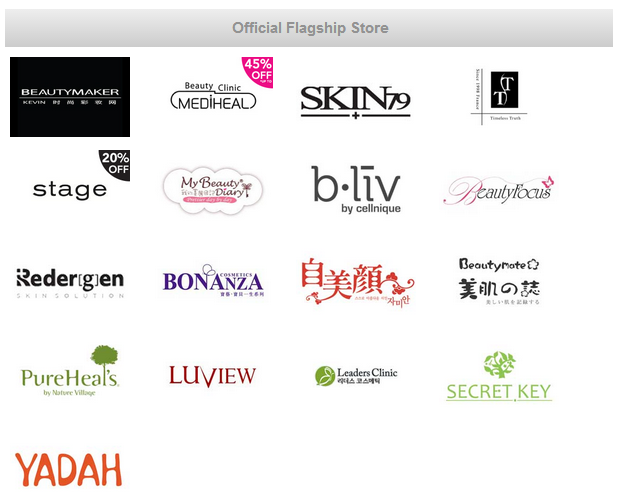 Their products categories ranging from skincare, bath and body to make up and masks! How to browse on Hermo? FAQ section, Wishlist tab, International Delivery, Free Samples with Purchase, Buy 2 Free Shipping, 14 Days Refundable and Flash Shipping. And for those who aren't very knowledgeable in looking for products that are suitable for their skin types, no worries because Hermo also have a feature where you can browse product based on the condition of your skin! Just click on the skintype you have, and you'll be redirected to another page to show product suggestions! What's Special on Hermo this December? Right now, Hermo is having an awesome promotions since Christmas is just around the corner! So it is the perfect timing for you to buy something for your loved ones with their awesome deals! With Stocking Stuffers offers up to 70% discount! 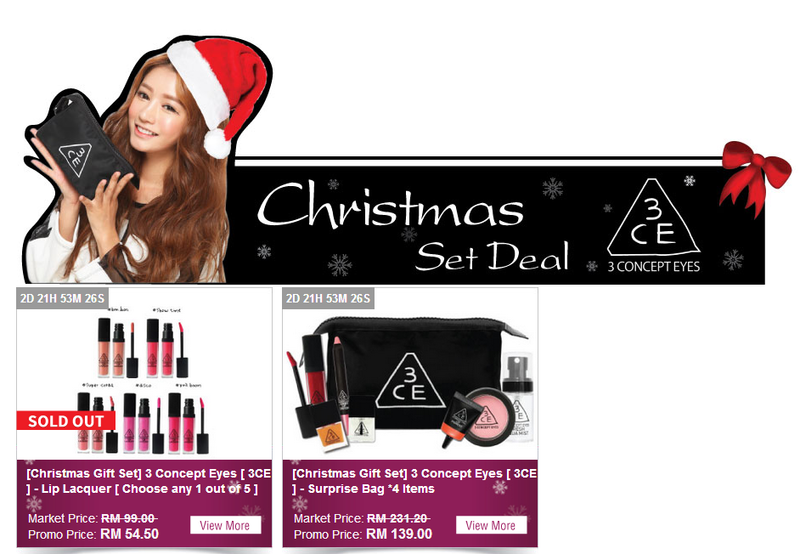 And many awesome Christmas set deals up for you to grab! And to the main course! Santa Hermo is feeling generous and is going to grant some butterflies wishlist of product(s) from Hermo up to RM 80! So now, with all the hope in my heart, I want to make my wish! And the total is right at RM79! Because I've been wanting to try their products but I never get the chance to. So this is a prefect time to fulfill my craze over Korean cosmetics products. Who knows I'll start falling in love with Yadah products too? And from Hermo, I found out that Yadah uses natural ingredient in its products, which is definitely a bonus! Can you please grant me this wish?